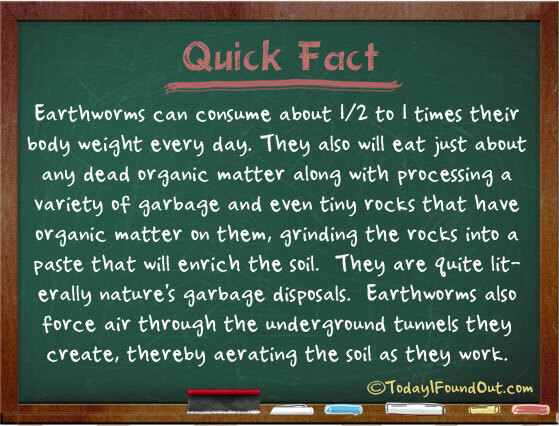 Earthworms can consume about 1/2 to 1 times their body weight every day. They also will eat just about any dead organic matter along with processing a variety of garbage and even tiny rocks that have organic matter on them, grinding the rocks into a paste that will enrich the soil. They are quite literally nature’s garbage disposals. Earthworms also force air through the underground tunnels they create, thereby aerating the soil as they work.